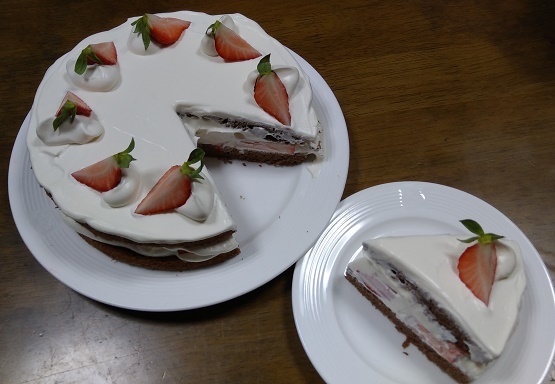 I bought fresh cream for the cake at the supermarket. Mom just finished the preparation to go shopping and asked me what I want. please would buy them; I said. I started baking sponge cake and it began to rain. I continued doing that and chakled to myself.